The philosophy of St. Hugo of the Hills School is based on the teachings of Jesus Christ. As a faith-filled community of parents and staff, we strive to nurture children to emulate His actions and to grow in love for God, self, and others. Learning to honor not only the uniqueness of the individual, but also the richness of diversity, we are challenged to treat others as we wish to be treated. The school provides an environment of academic excellence, giving each student the opportunity to develop as a whole person: spiritually, socially, emotionally, physically, and intellectually in order to meet the challenges of the future. 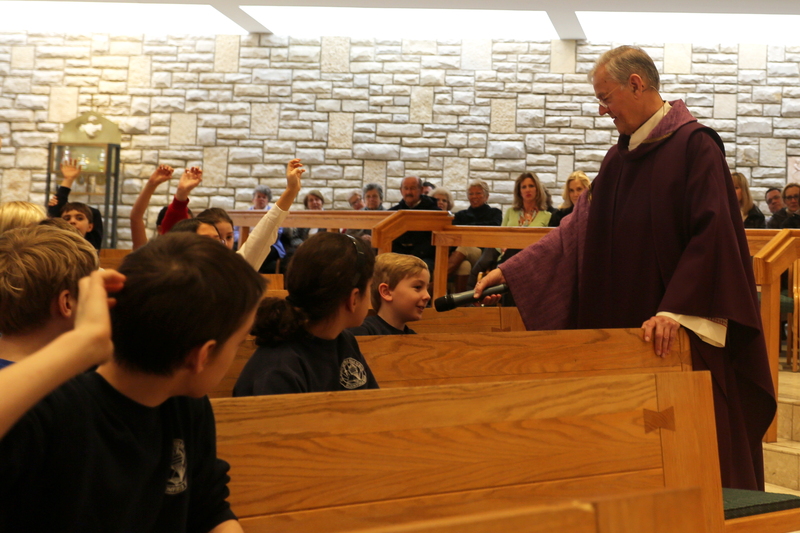 St. Hugo School Mass every Wednesday at 8:30 am (Holy days are at 9:00 am) in the Main Church during the school year. If you would like to contribute to the School Angels fund, you may contribute using the envelope that was included in your packet, use Online Giving and select School Angels, or just mark your check in the notes section "School Angels."